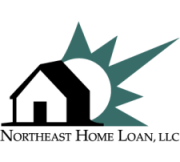 Home Loans | Northeast Home Loan, LLC. Northeast Home Loan is a full service mortgage banker, meaning that our lending decisions are local, right here in West Chesterfield, New Hampshire. We have a range of products to meet your needs, including low down payment fixed rate mortgages and adjustable rate mortgages.